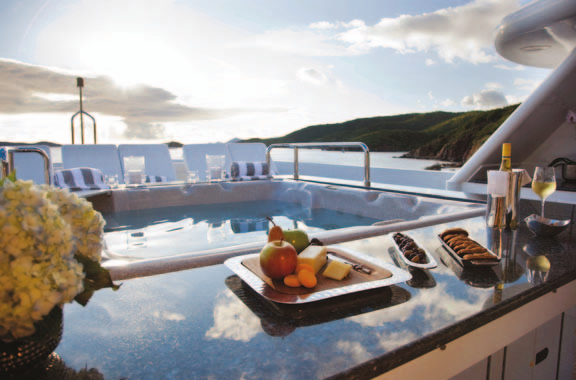 Experience a holiday abroad filled with island excursions and culinary adventures all customized by you. 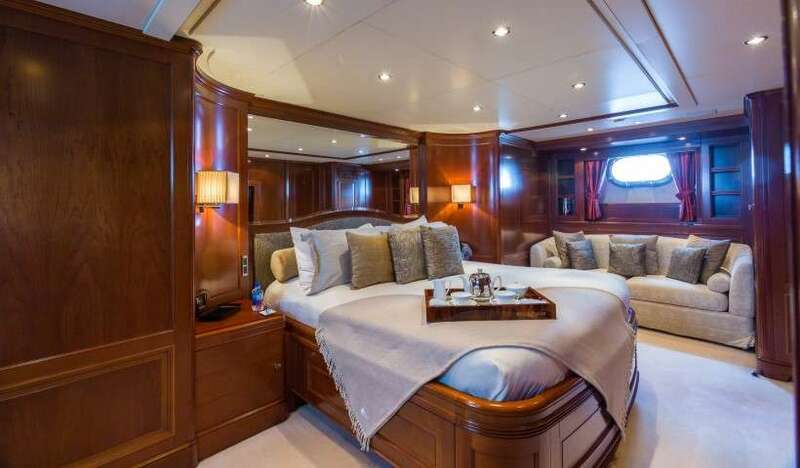 Luxury yachts are typically longer than 20m (65 ft), specially designed for comfortable cruising and are luxuriously furnished and fully equipped. 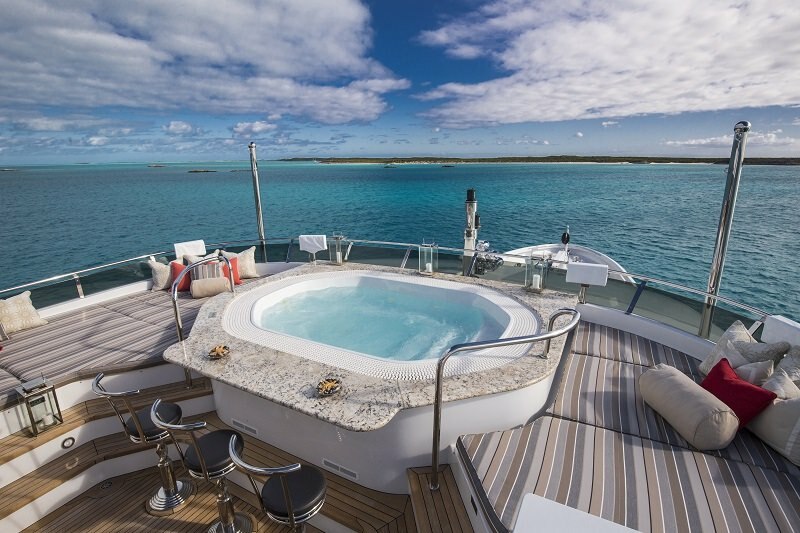 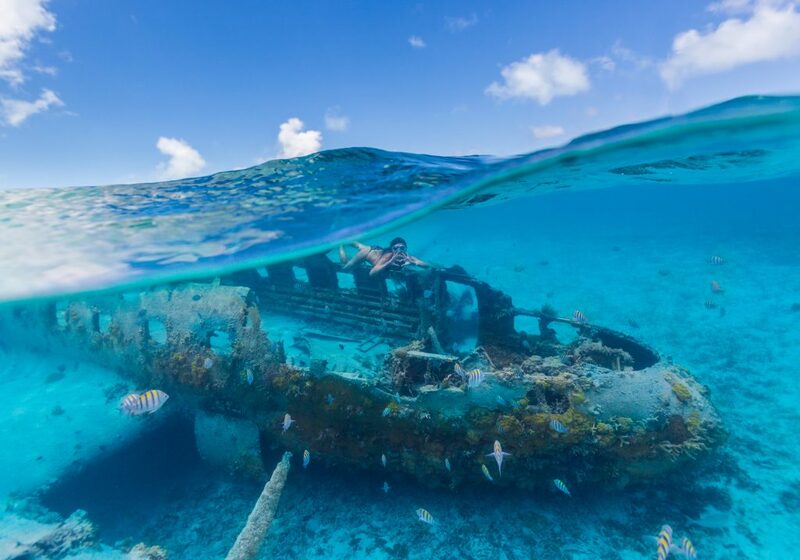 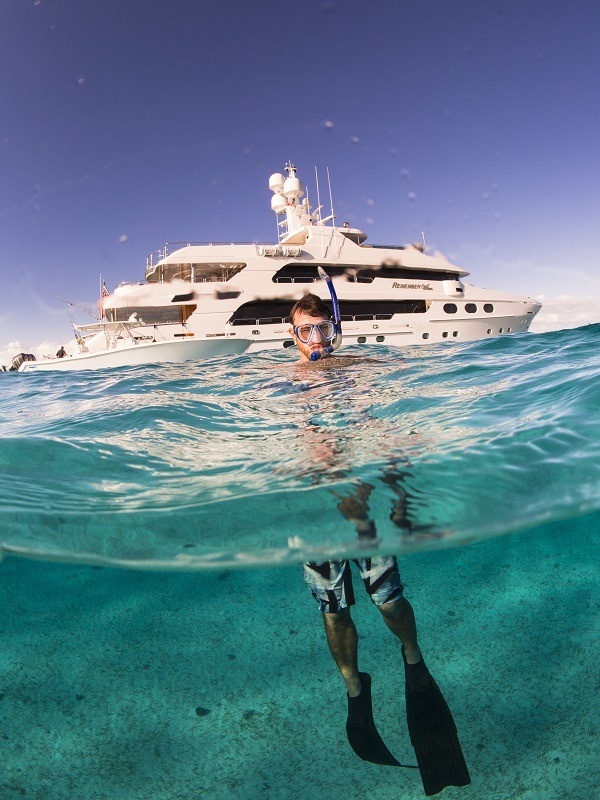 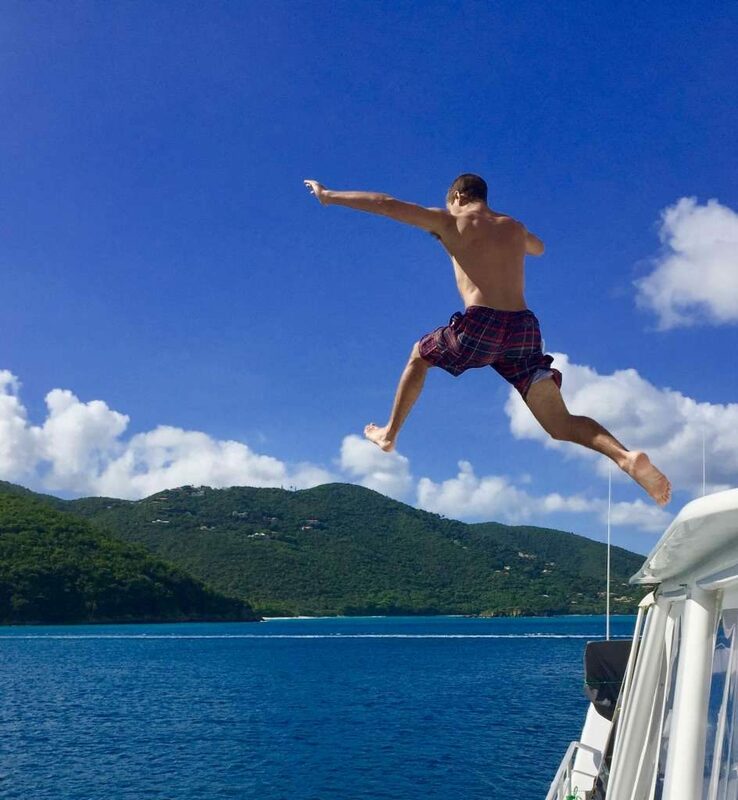 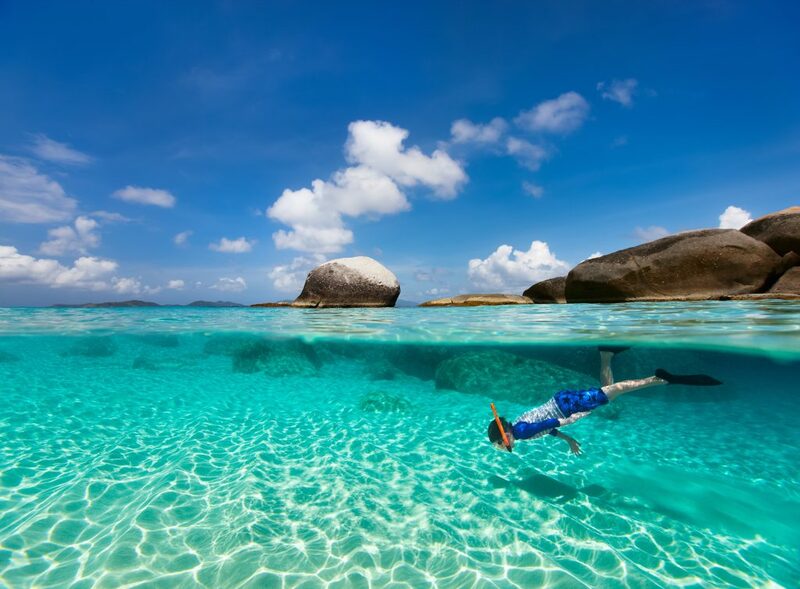 Luxury yacht charters in the British Virgin Islands always come with a professional crew on board to ensure your exploration of the seas is relaxing and completely effortless. 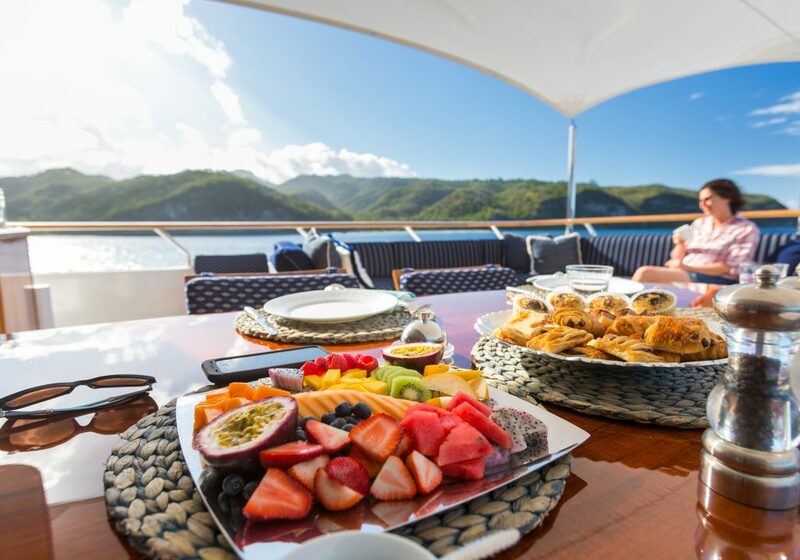 This dedicated crew of captain, chef and mates, awaits your command to serve your every whim and ensure your complete and total enjoyment while on charter in the BVI. 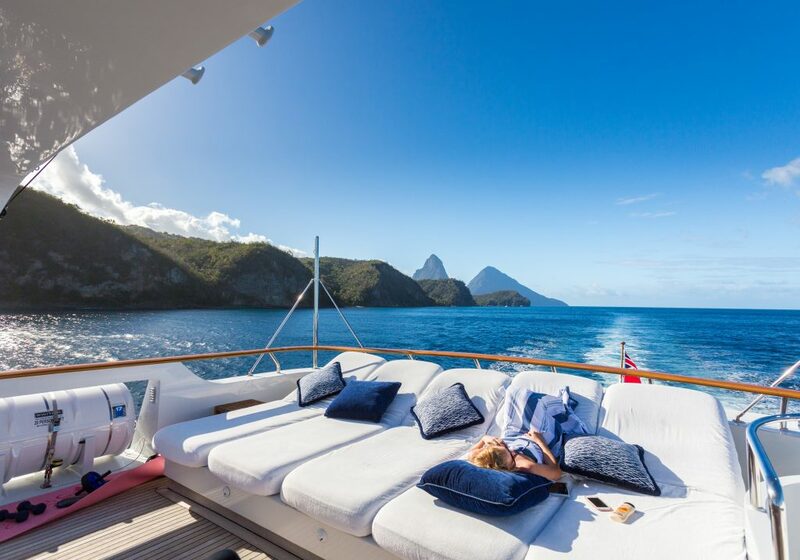 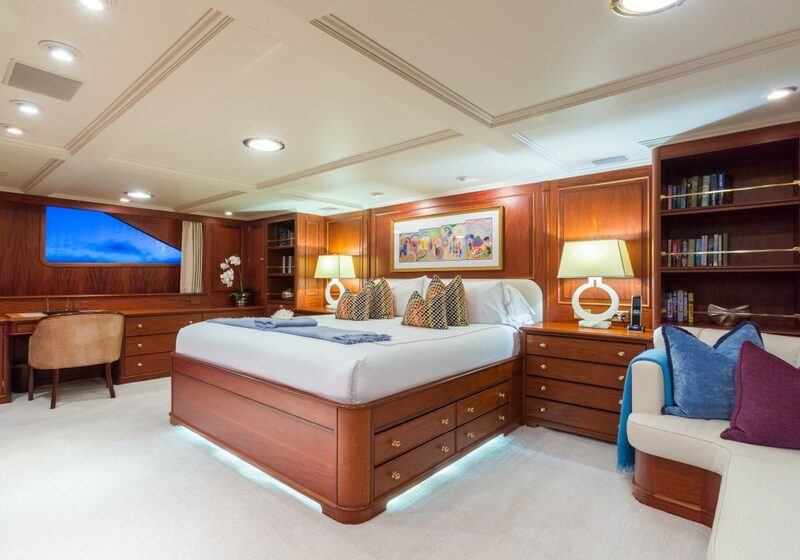 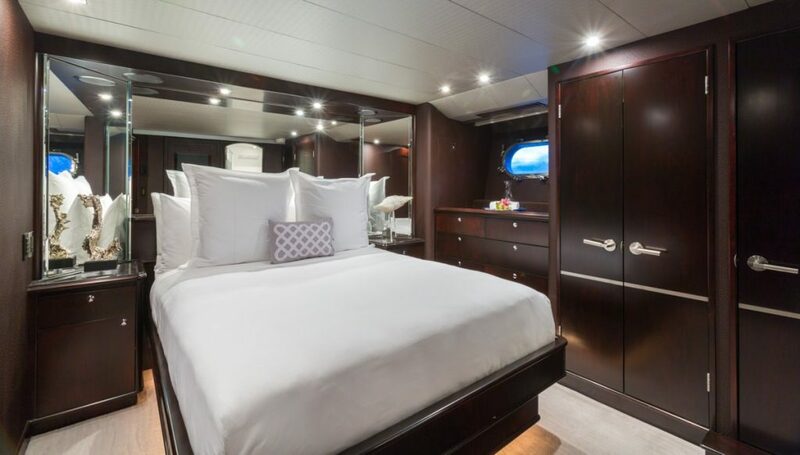 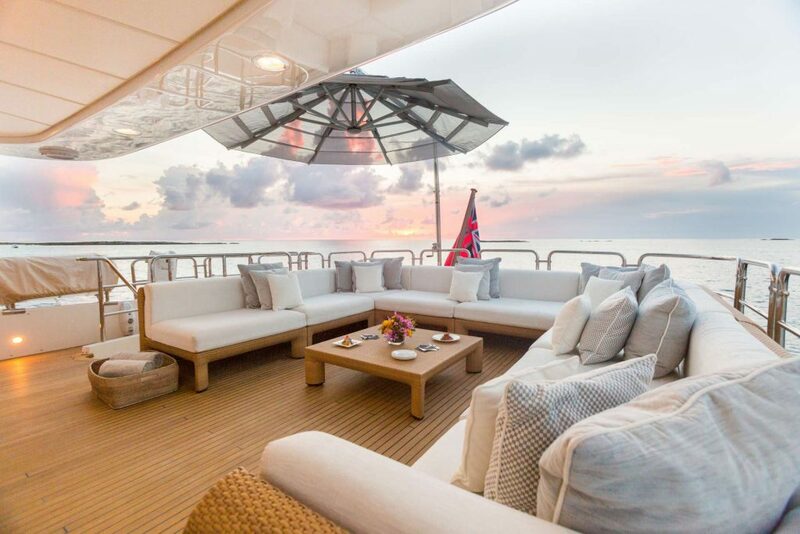 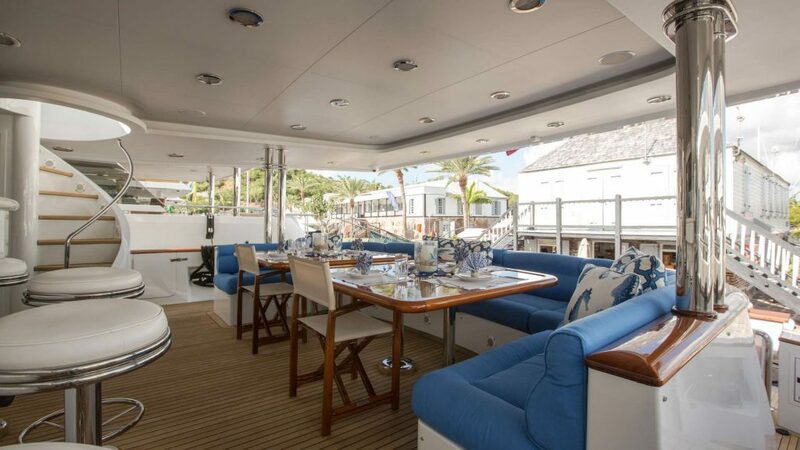 Bright and spacious, every one of the luxury yachts and catamarans we offer for charter will have all the modern amenities and key features to please the most discerning charterers. 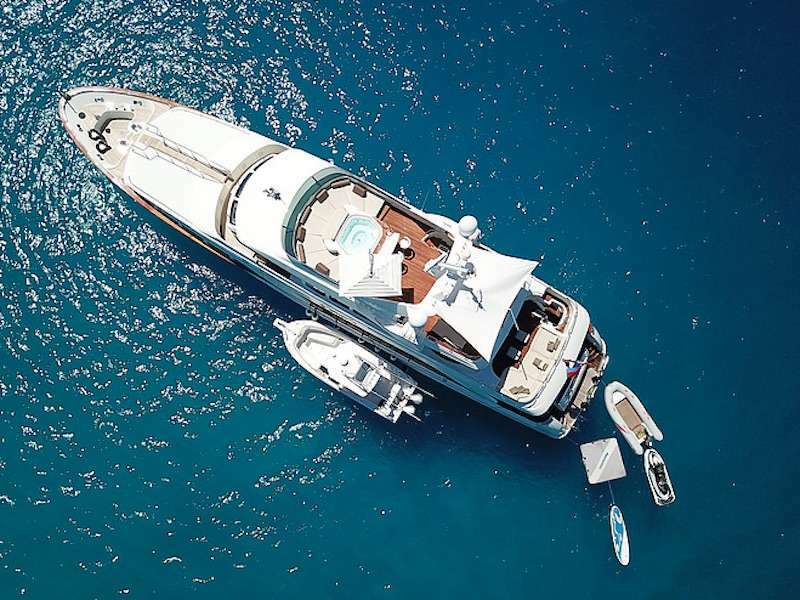 The key differences between the luxury yachts will be the variety of size of the yacht, the layout and the charter rate. 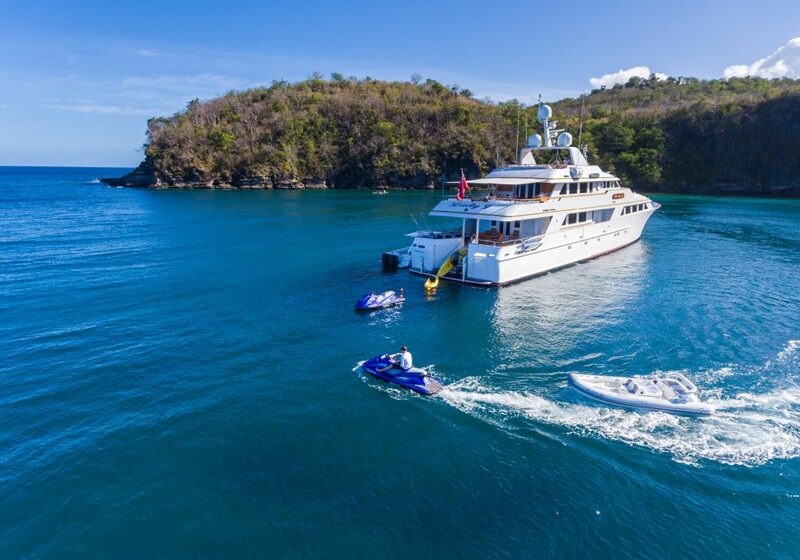 We at Virgin Motor Yachts are happy to offer you the finest selection of luxury yachts to cruise the beautiful turquoise waters of this Caribbean destination. 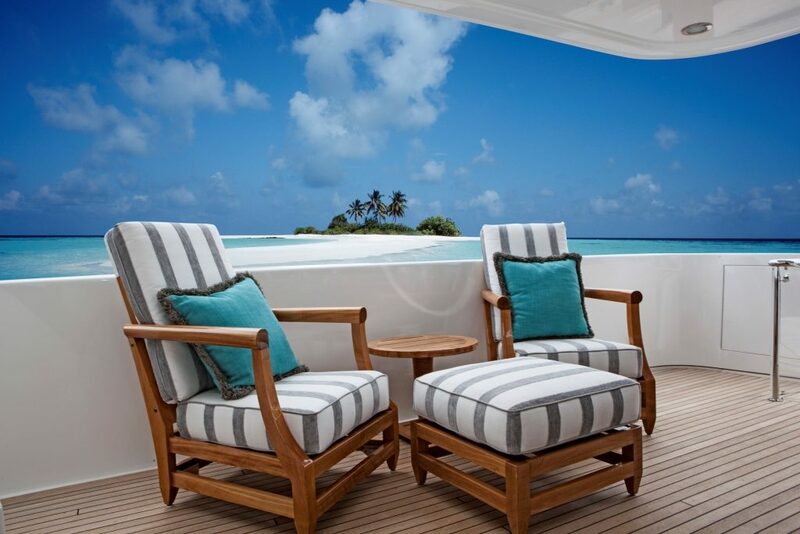 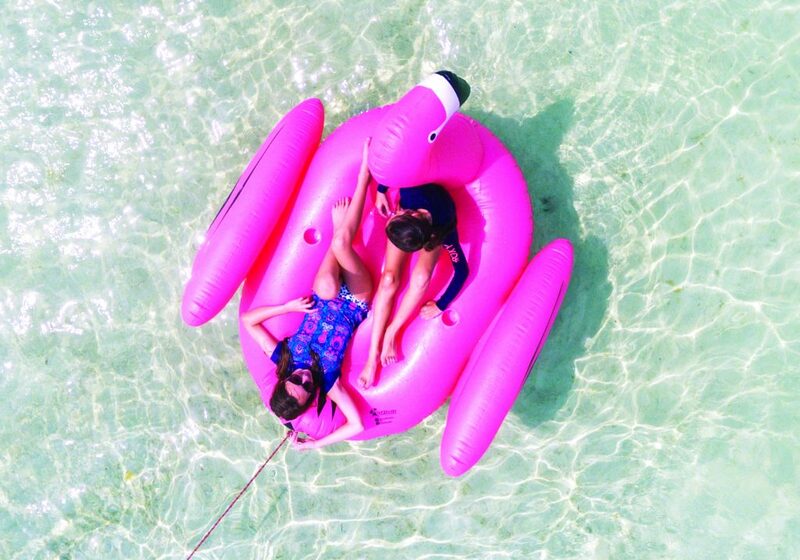 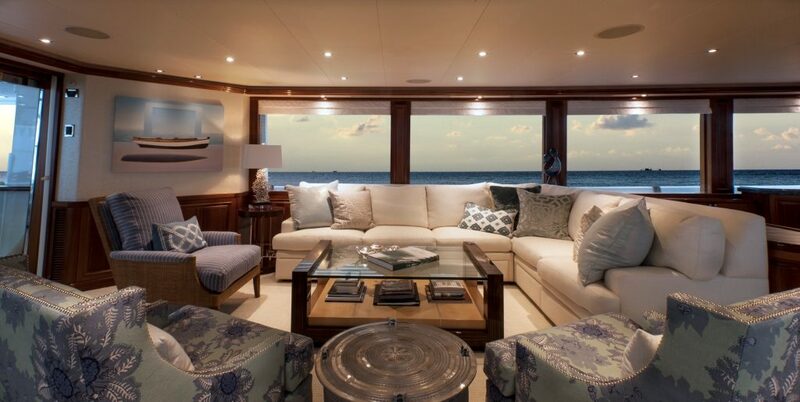 So sit back, relax, and let us create your perfect fun-filled luxury yacht charter holiday! 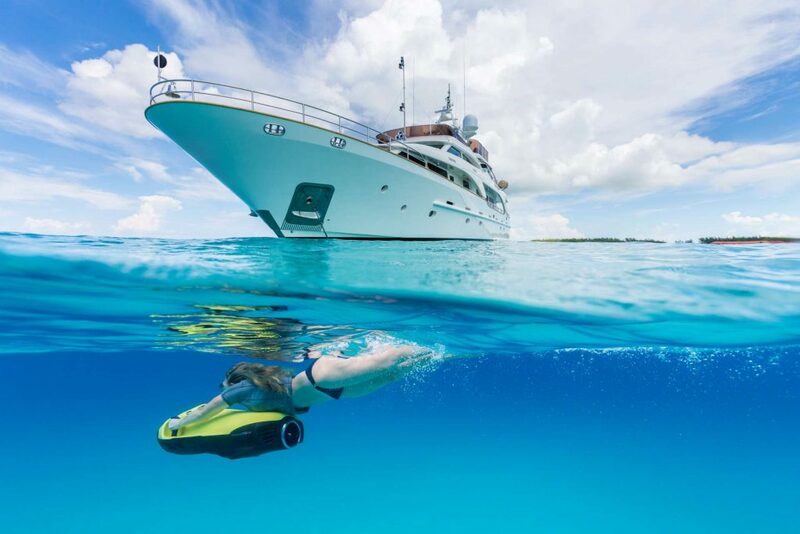 The captain will be in touch to find out what your vacation ‘style’ is and to find out what you would like to do on your yacht charter. 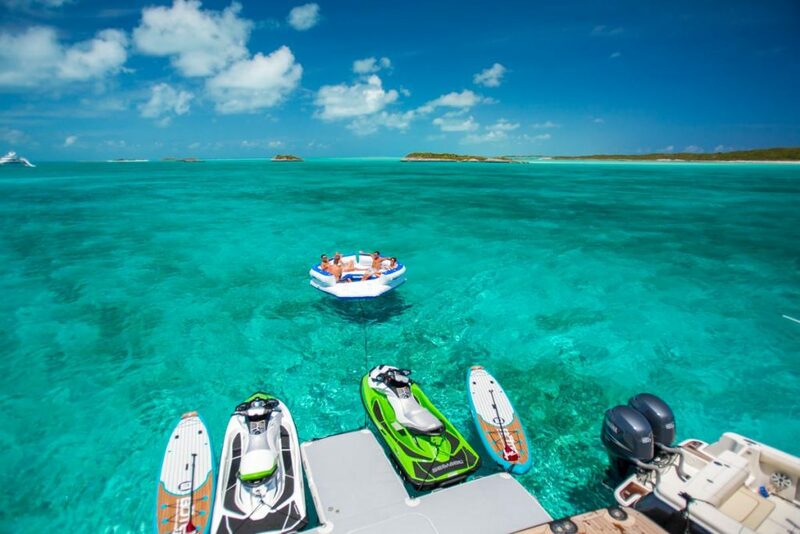 Are you very adventurous and want to go hiking, paddle boarding, fishing, diving etc? 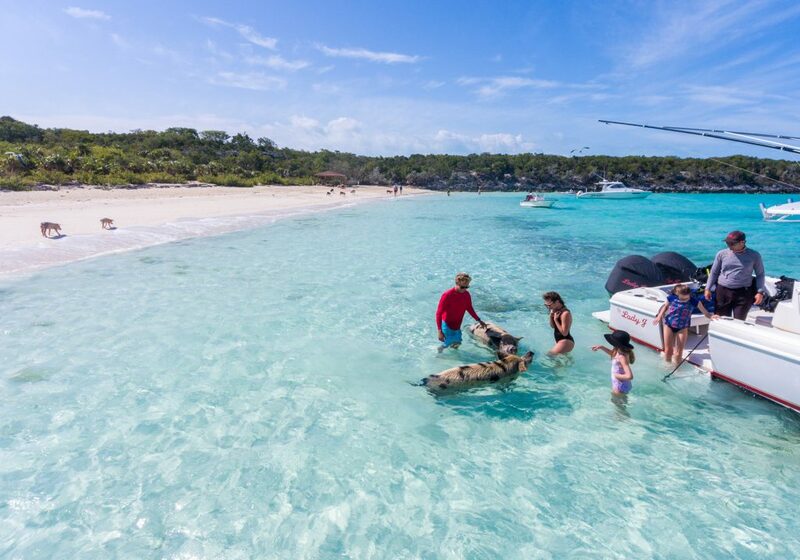 Do you want to go to all the ‘happening’ beach bars? 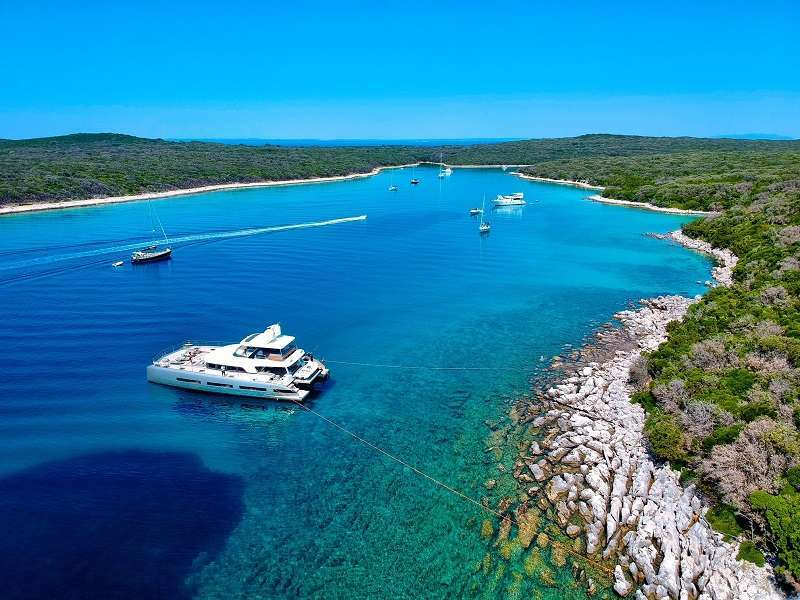 Or, would you prefer beaches that are ‘off the beaten path’ in total seclusion? 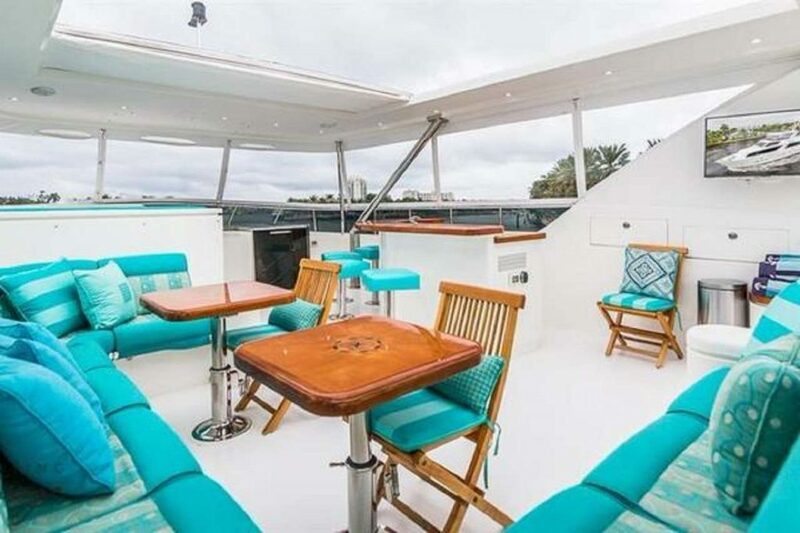 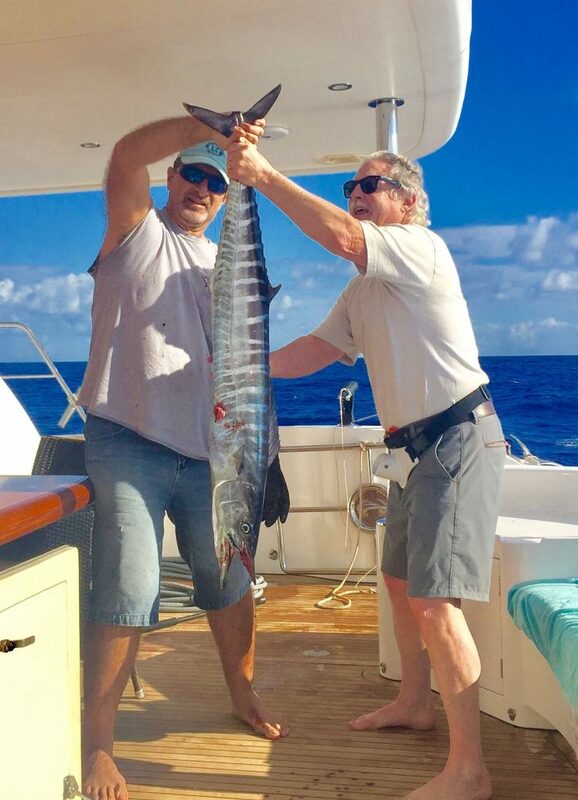 Based on your conversation, the captain will help develop an itinerary that is completely personalized around your interests, while arranging any additional activities you might want that to entail. 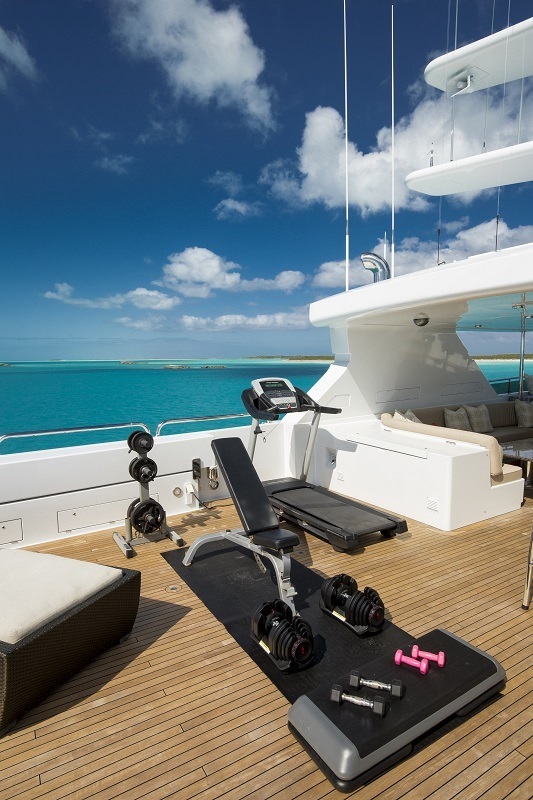 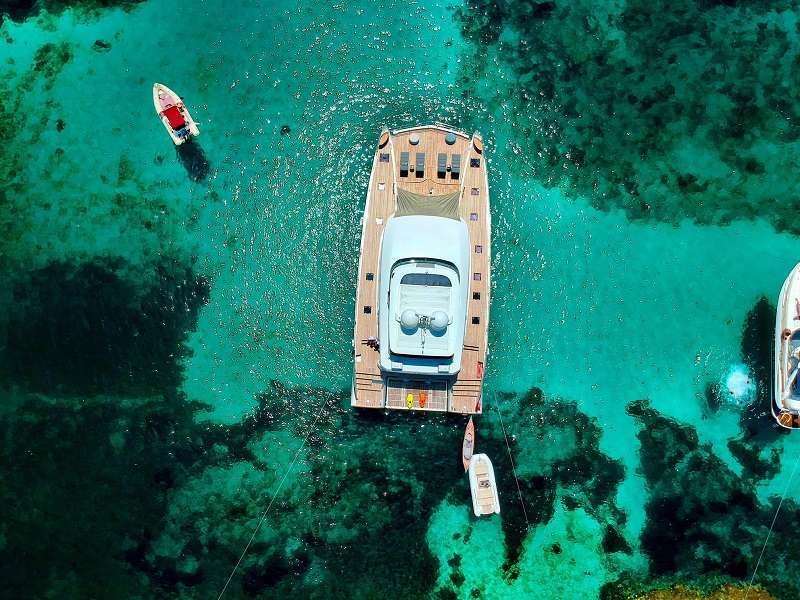 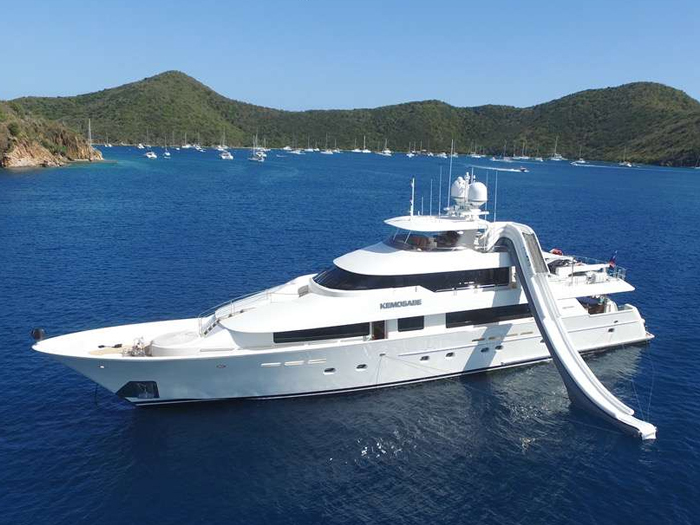 Luxury yachts come fully equipped for charter with an array of water toys to enjoy all the seas have to offer, including; snorkeling equipment, floating mats, paddle boards and kayaks wakeboards, jet skis (not permitted in the BVI), and sometimes even water trampolines and/or giant water slides. 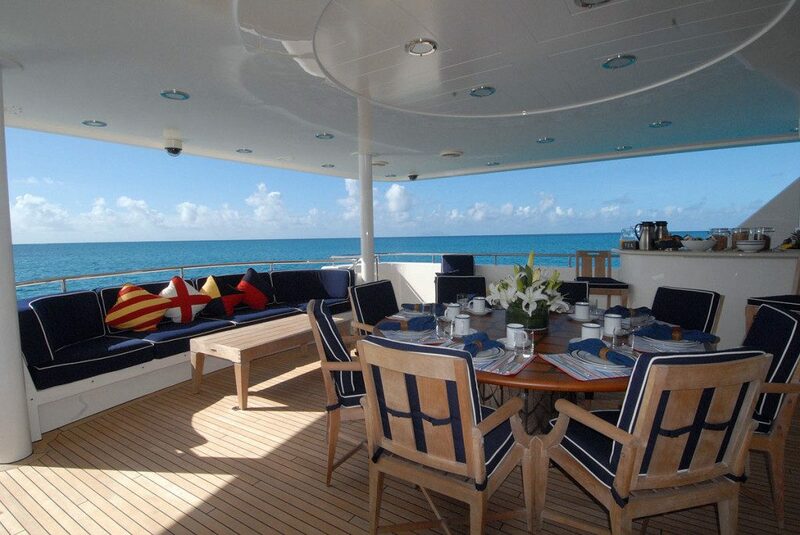 The rate of the luxury yacht is always inclusive of the crew that is employed by that yacht. 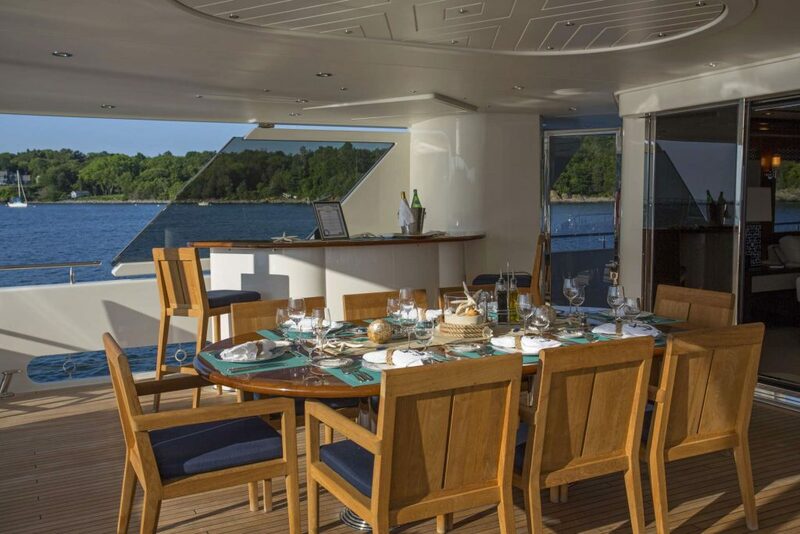 Once you select and book the charter yacht, both the captain and chef will be in contact with you directly. 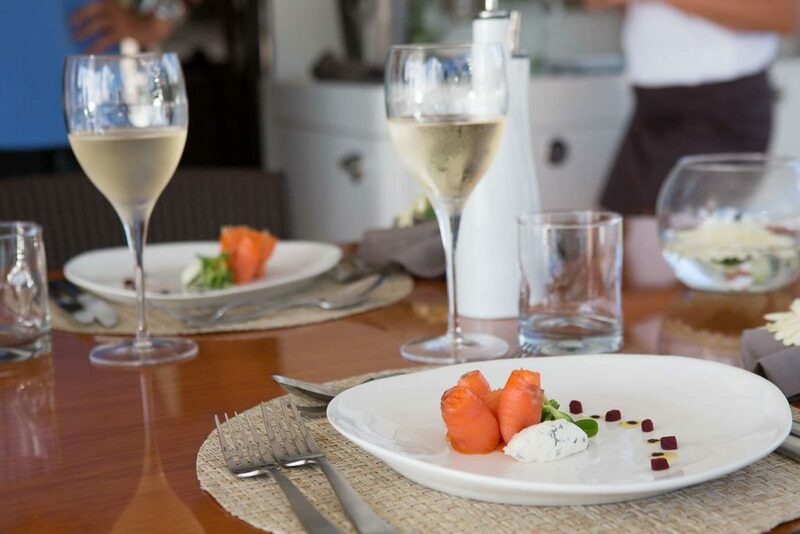 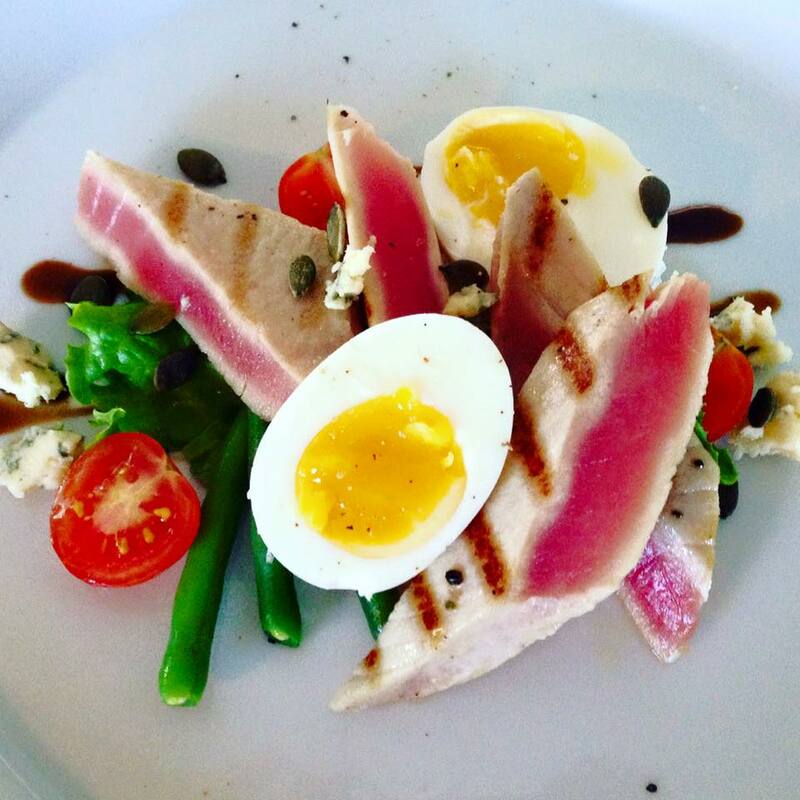 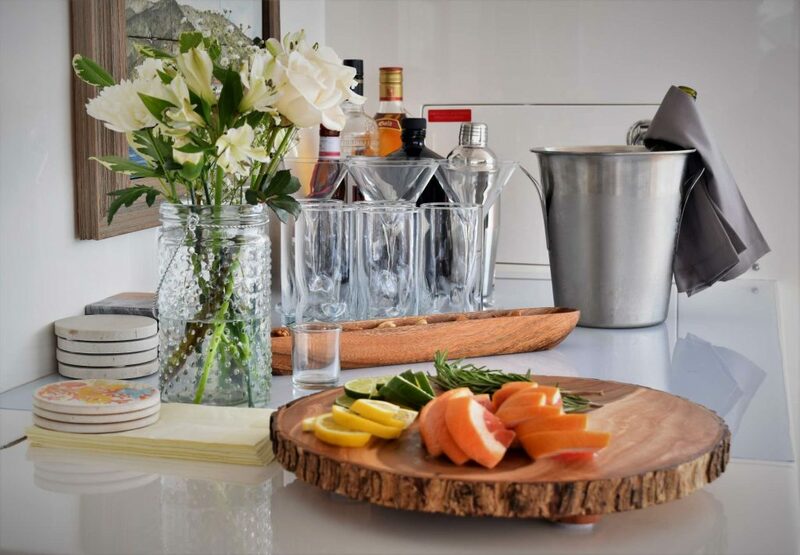 Your private chef will send you a ‘preference’ sheet that allows you to detail anything you like or dislike to eat, types of cuisine you prefer, the type and brands of soft drinks and alcohol you would like on board etc. 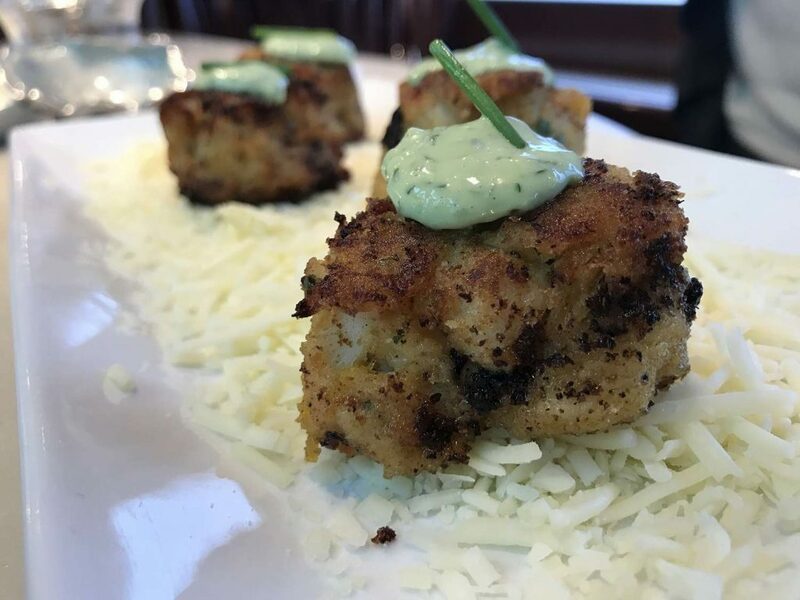 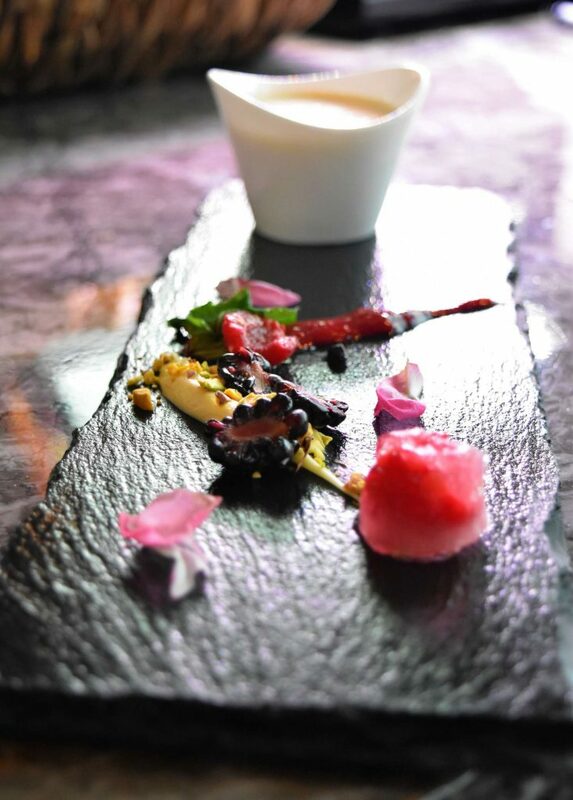 It is extremely comprehensive and allows the chef to create a menu that is tailor made to your taste. 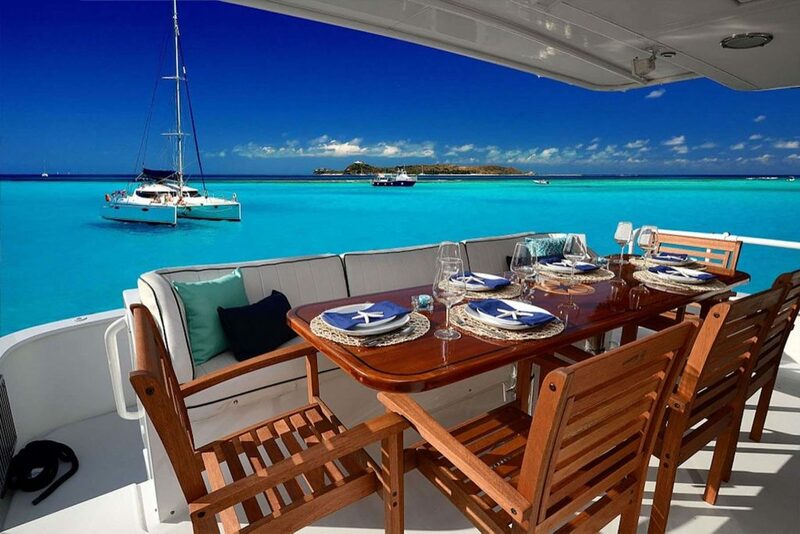 The chef plans for you to eat three meals a day on board the yacht. 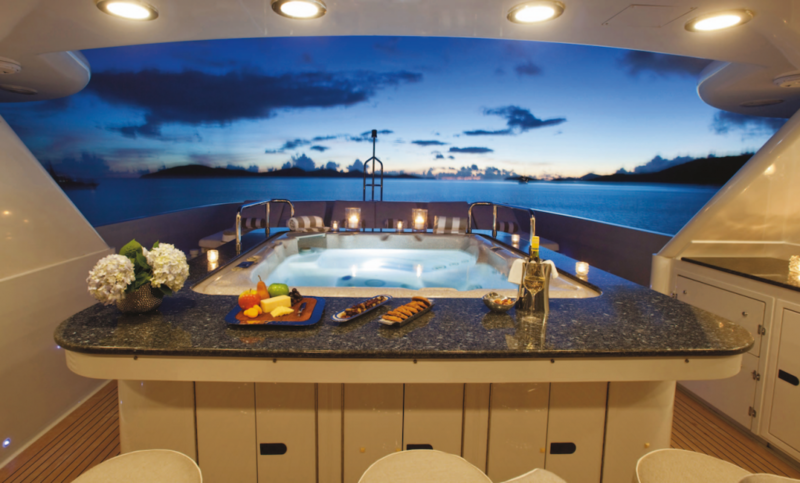 If you want to go ashore any day or night for a meal you can certainly plan to do so. 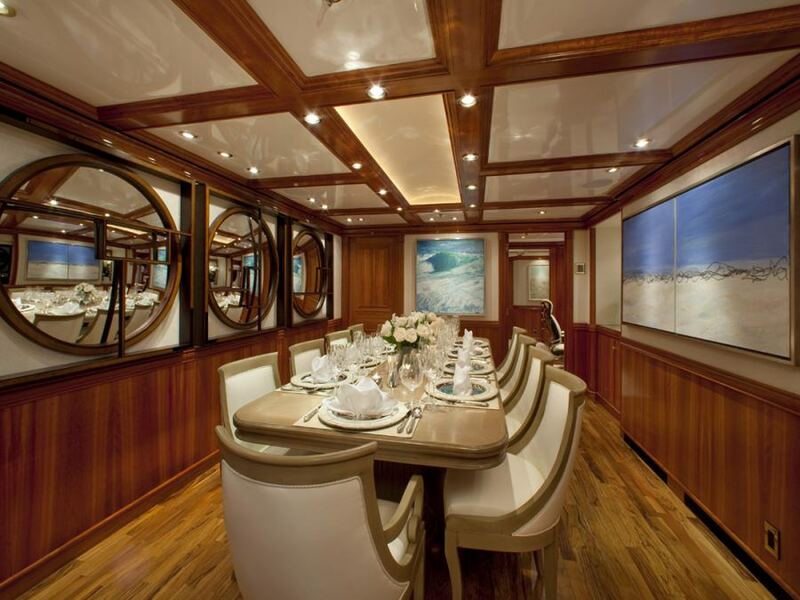 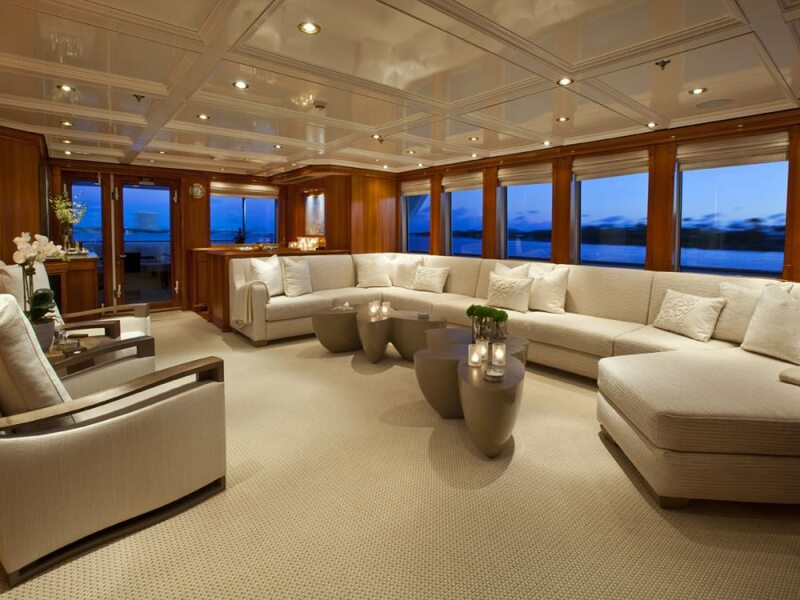 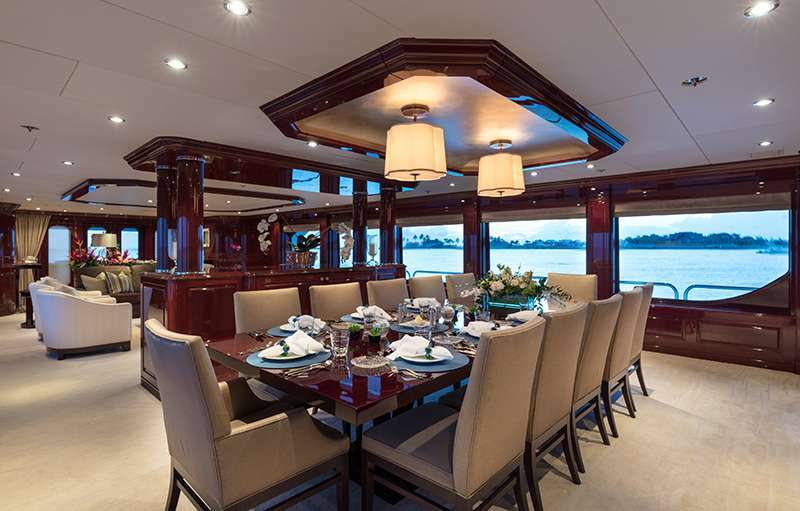 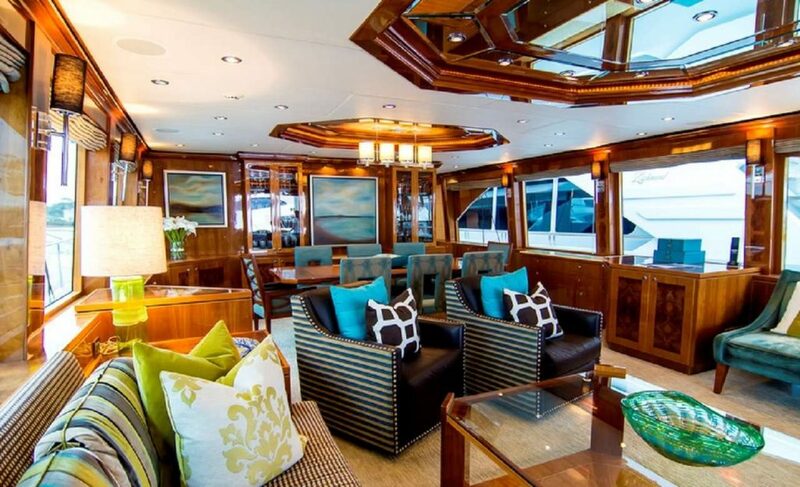 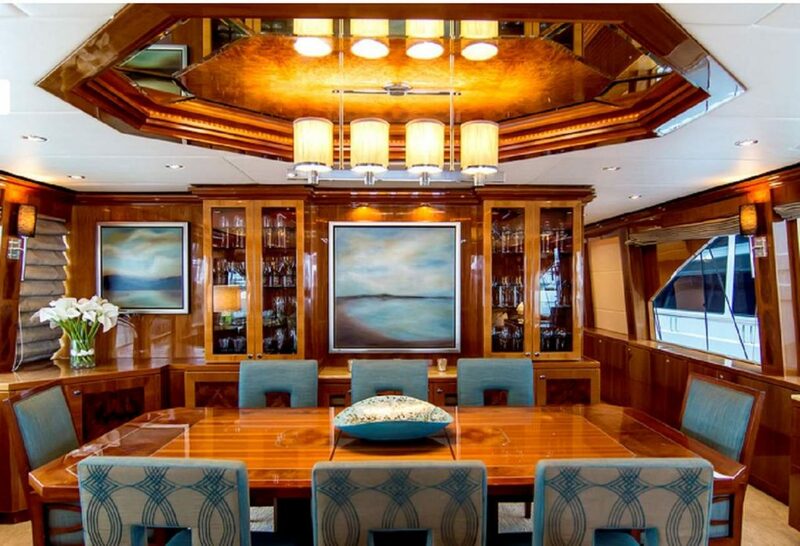 The interiors of these beautiful vessels speak for themselves. 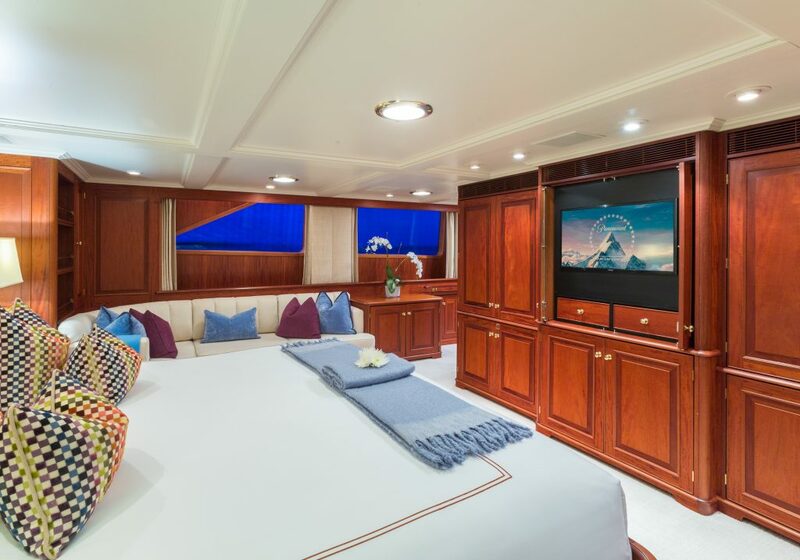 Incredible craftsmanship down to the most minute of details, including impeccably styled interiors and exteriors with complementing linens. 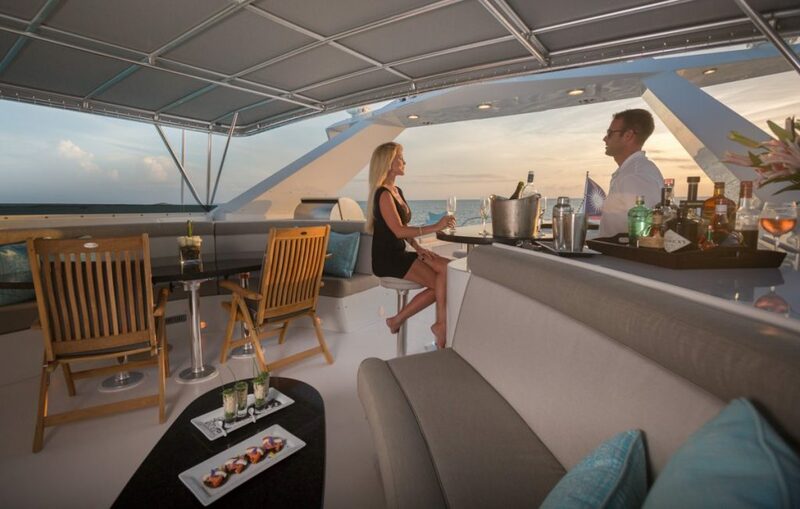 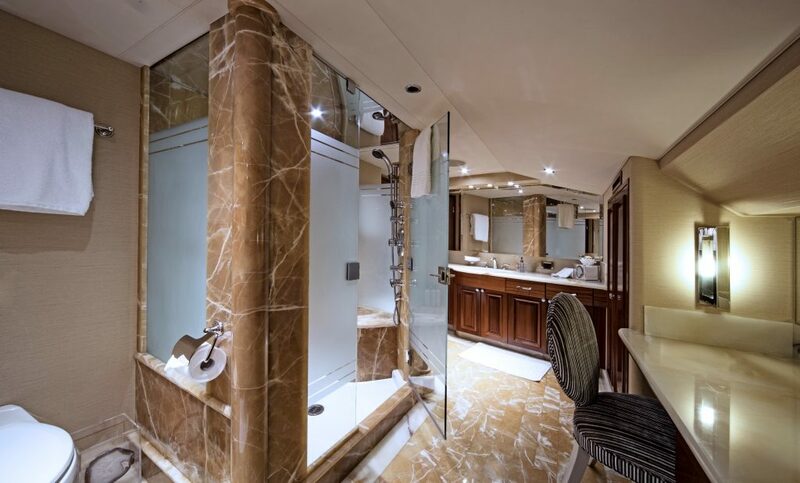 Amenities abound the sometimes multiple decks of these floating oasis’ bringing all the comforts of home—and more—to your service.